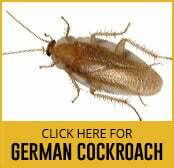 Out of over 3000 different species of cockroaches in the world, the German cockroach and the Oriental cockroach are the two most common species in Britain. Cockroaches are large, flat-bodied, oval-shaped insects that are active at night and have two antennae and two sets of wings. With their six long and spiny legs, they are known for their rapid and jerky gait. The adult German cockroach is about 10-15mm long, yellowish-brown in colour and has two dark stripes on its thorax. Sticky pads on their feet enable them to scuttle and climb skilfully, even on smooth surfaces. They may also fly in warm environments. Meanwhile, the adult Oriental cockroach is larger at 20-30 mm in length and has a shiny, dark brown or black colour. They cannot fly but they can scurry around the ground and climb some rough surfaces. The German cockroach likes warm and humid conditions such as kitchens, bathrooms and laundry rooms. They prefer narrow harbourages where they can gain easy access to food and water. 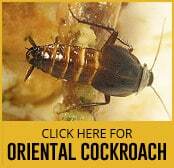 The Oriental cockroach is found in darker, cooler and damper areas, including basements, drains and even around garbage cans and rubbish tips. They can easily adapt to different environments. Both species are scavengers that feed on whatever is available to them. While most of them like sweets, meats and starches, they also eat grease, soap, leather, hair and decaying matter. Moreover, they are seen to bite fingernails, eyelashes, feet and hands and consume the flesh of humans, living and dead. They can survive for months without food but require a readily available supply of water. Droppings- Their droppings are about 2 mm long, cylinder-shaped and brown/black in colour. Unusual smell – They produce a lingering and obnoxious odour that taints food and objects they contact. Shed skin – They shed skin called “cast nymphal” from 5 to 8 times during their maturing stages. This skin can be spotted near their shelters. Smears – Brown and irregular shaped smears can be found on surfaces on which they scurry. These creatures pose public health risks through carrying various serious diseases, including poliomyelitis, dysentery, salmonella, gastro-enteritis, typhoid and severe food poisoning. A correlation between the presence of cockroach droppings and an increase in eczema and asthma has also been observed. Besides the health problems, they are an unpleasant pest to have because they disturb humans not only by sight but also by their obnoxious smell. These insects can breed rapidly and live a long time without food. Their ability to easily adapt to different environments and they may even be unsusceptible to several home extermination methods. 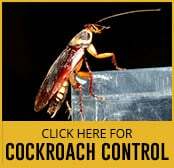 For these reasons, preventing cockroach infestation can be a challenging task, especially for untrained individuals. Professional treatments, therefore, should be sought to combat any cockroach infestation. Pest control experts can administer the most rapid and effective pest control methods, particularly the use of insecticides that may not be accessible to the public.